Today was their official launched and unveiling of their Pre-Fall Collections for 2014 and I got the chance of getting first dibs at their Shangri-La Mall branch. Let me tell you that they have the cutest clothes this season and they've done their biggest print yet: an image inspired by Audrey Hepburn! The Plains and Prints Pre-Fall collection is composed of four sets of off-the-rack ensembles that range from the playful, to the romantic, to the sophisticated. Like I mentioned above, the media, VIPs and bloggers were able to get first dibs from the new collection. It was then open to the public at the strike of 6PM. Especially made for the girly-girls is the Fleur de Lis collection. Giving off a romantic and very feminine vibe inspired by this year's colour, radiant orchid pink, Fleur de Lis uses different methods of printing to create interesting effects on the fabric in vibrant shades of fuchsia, purple, peach and pink. California Dreamin' Collection is inspired by the ever-evolving genre of music. A retro-modern infused collection that gives a young and fun vibe yet keeping that classic feminine tone. Vibrant colours of pink, green, navy and orange gives this collection that perfect melody. Uptown Girl Collection is inspired by fashion icon, Audrey Hepburn. Her timeless style and iconic feminine silhouettes gives inspiration to Up Town Girl's glamorous prints and rich details. This collection defines the essence of a sophisticated woman in perfect shades of yellow and orange. 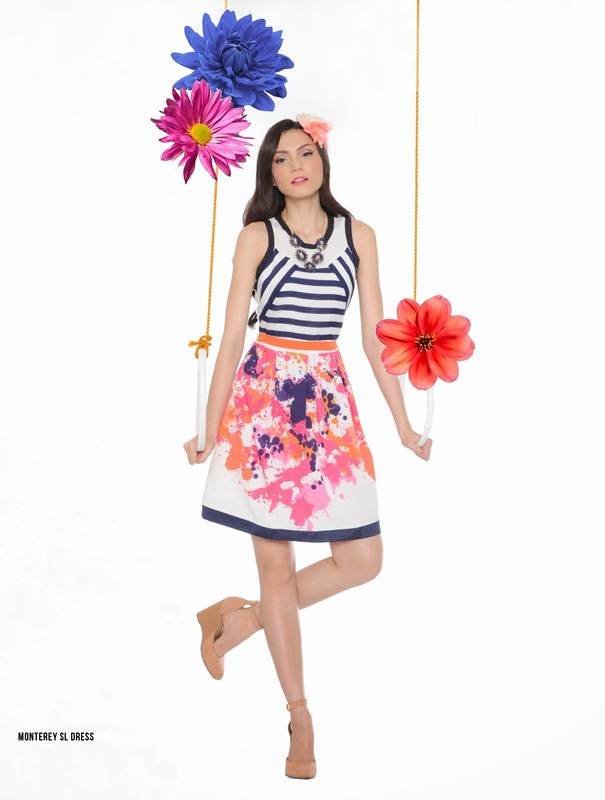 Flights of Fancy collection brings a preppy twist on colours and prints. Inspired by the beauty of the sky and the clouds, this collection's mood will definitely get you feeling high in flights of fancy! California Dreamin' and Flights of Fancy are two of favourites out of the four sets, because of it's super colourful and I am digging' the cool prints! :) How about you? These collections will be available at Plains and Prints stores nationwide starting June 26, 2014 or via shopping through http://www.plainsandprints.com. You can also follow them on Facebook, Instagram and Twitter for updates! I think i love the Uptown Girl Collection! If im a girl i'd totally dig 'em! Their designs are becoming better and better each year. Looking forward to see you sporting the dress you bought Ava, you'll look great for sure!